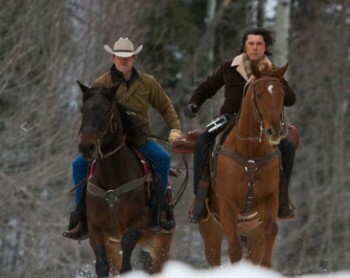 My husband and I have been watching a contemporary Western TV show taking place in Wyoming, called Longmire. We’ve enjoyed it a great deal, mostly because we consider ourselves to be westerners who love the big sky, the mountains, and the rugged terrain, not to mention the rugged individuals living there. The good guy wins. Even though he has a dark side, he pursues the truth and does what’s right. In a series of episodes, the sheriff’s grown daughter is critically injured in a hit-and-run accident, and the sheriff decides it is because of some wrongs he has committed. He asks his best friend, a Native American, to help him atone for his wrongdoing. So in the final scene of one episode, they stand on the open range, at sunset, and perform a Native American blood-letting ceremony. There’s dramatic music, and plenty of Native American symbolism, and even a gorgeous rainfall off in the distance, with the sunset casting it in a beautiful glow. Blood is spilled on the earth, and Mother Earth is pleased. So how would a Christian evaluate these episodes? One method would be to yell that you will never watch such heathen representations and turn off the show forever. Sometimes that kind of reaction is warranted. However, let’s explore another method for analyzing the worldview of that show. And this method of analysis will be vital for you and your family, if you intend to live in this world and interact with the unbelievers who surround you. First, examine the worldview that undergirds these episodes. This means you need to understand other worldviews. Why? Often you will need to know the mindset of the people you interact with daily, so that you can see their deep need for a savior. But Christ debunked this belief long ago. In Luke 13:1-5, he mentions a couple of instances in which tragedies befell some people. “Now on the same occasion there were some present who reported to Him about the Galileans whose blood Pilate had mixed with their sacrifices. And Jesus said to them, ‘Do you suppose that these Galileans were greater sinners than all other Galileans because they suffered this fate? I tell you, no, but unless you repent, you will all likewise perish. Or do you suppose that those eighteen on whom the tower in Siloam fell and killed them were worse culprits than all the men who live in Jerusalem? I tell you, no, but unless you repent, you will all likewise perish” (NASB). So Christ rejects the idea of “What goes around, comes around” pretty soundly. What about the Native American bloodletting ceremony? This one is quite profound, and from a worldview analysis, pretty amazing. If you do enough reading of history and cultures, you will notice that there exist some pretty similar notions about sin, or whatever that culture might call it. Greeks referred to it as “blood-guilt.” Greek literature is full of such references. But it didn’t begin with the Greeks. Blood guilt has its roots in the earliest people on earth. The second recorded sin in the Bible is, of course, Cain killing his brother Abel. Interestingly, God tells Cain, “What have you done? The voice of your brother’s blood is crying to Me from the ground. Now you are cursed from the ground, which has opened its mouth to receive your brother’s blood from your hand” (Genesis 4:10-11). And not too long after, God explains why the spilling of blood is so terrible: The life is in the blood. “Only you shall not eat flesh with its life, that is, its blood. Surely I will require your lifeblood; from every beast I will require it. And from every man, from every man’s brother I will require the life of man. Whoever sheds man’s blood, By man his blood shall be shed, For in the image of God He made man” (Genesis 9:4-6). Leviticus 17:11 and Deuteronomy 19:6 also repeat that theme. Greeks believed that when blood was spilled, that blood-guilt required the blood of the spiller (the sinner) to be spilled. We see the theme revisited in many histories and cultures and literature from then on. And you can see how murder after murder gets committed, because each time blood is spilled, another person must come along and avenge the spilling of blood. What a bloody mess! Why is this important? Here’s where the richness of biblical worldview analysis comes in. In this one dramatic TV scene, we see the ancient idea of blood-guilt being played out yet again. And though the method is pagan, the idea is very true. There is life in the blood, and only the spilling of blood will save someone from (will atone for) his sins. So here is where you can begin a meaningful conversation with someone who watches a scene like this, or any number of similar scenes in literature and media throughout time. Yes, the spilling of blood is necessary to atone for sin. Yes, there is life in the blood. And yes, there is only one true Person whose blood, when spilled, saves you and me from our sins, and it only needed to be done once. The same God who required Hebrews to mark their door posts with the blood of a lamb so that death would pass over them, He also provided for a pure, spotless Lamb whose blood was spilled so that eternal death would pass us by. So when you set out to analyze movies, TV, and other media from a biblical worldview, take time to peel back the layers of what’s going on. Explore the unspoken meanings in what you’re analyzing. Discuss it with your teens, and you are arming them with deep truths they can share with their friends. It is so refreshing to read your articles. I gain a lot from them and pass them along to friends. Now,,,,I only wish Longmire wasn’t canceled by the network! My wife and I love the show too! I just read that it might be picked up by another network. We plan to keep looking for it!